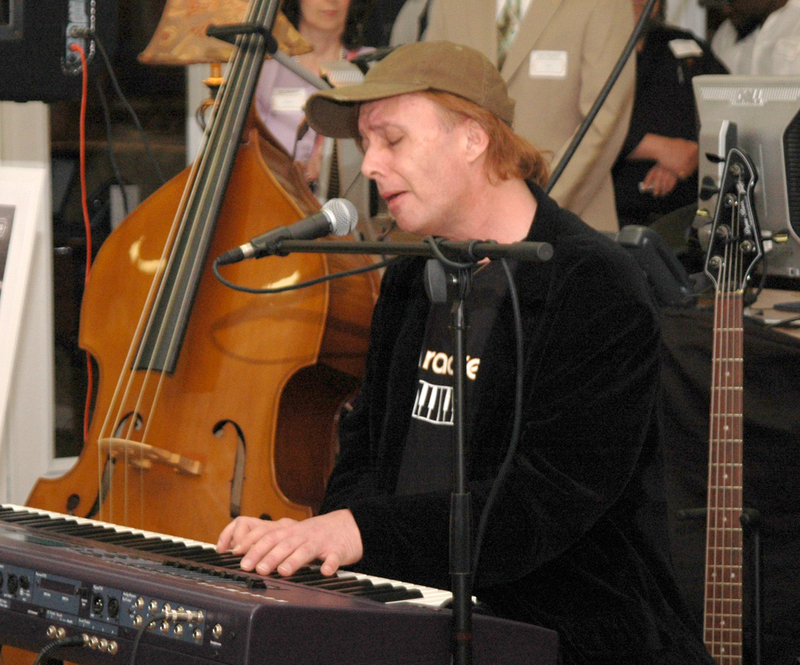 Three-time Emmy nominee and Sesame Street songwriter Mark Radice performs at the SoKnox Studios Grand Opening on April 8, 2014. Photo courtesy Cathy Vangieri. Children’s Media Studio has debuted the release of their new Christmas album, Sing And Spell Christmas Sing-Along, presenting nine classic Christmas favorites and two new original songs, with featured arrangements by Mark Radice, the three-time Emmy-nominated composer who has written songs for Sesame Street, Elmo’s Christmas Countdown, The Jim Henson Hour and The Muppets at Walt Disney World. Children’s Media Studios released all of the music videos for viewing on their YouTube channel, with complimentary holiday coloring pages also offered on their website. Up and Running: DigiTrax celebrates the Grand Opening of SoKnox Studios! DigiTrax Entertainment’s SoKnox Studios open for business! DigiTrax Entertainment celebrated the Grand Opening of their new SoKnox Studios in Knoxville, Tennessee last night (April 8th)! The celebration was a huge success and included an art exhibit from local photographer Brian Murray, an outdoor karaoke party, and a performance by 3-time Emmy nominated singer/songwriter Mark Radice. Also in attendance were Knox County Mayor Tim Burchett, Vice Mayor Nick Pavlis, County Commissioner Brad Anders, several members of the Knoxville business community, and local musicians from all around the South East. Those in attendance were also treated to an impromptu acoustic set by local rock band “Sensible Madness.” The talented quintet made use of the instruments on display and thrilled party-goers with unplugged renditions of several of their original songs sending energy and positive vibes through the roof! The staff and technicians at SoKnox Studios pride themselves on their ability to provide pretty much anything one might need with regards to music and animation for television, film, radio, games, apps, and more. They are also avid supporters of local artists/musicians and are working hand-in-hand with the local business community to revitalize and reinvent the South Knoxville area. With less than 48 hours before we begin yet another amazing year, we’re feeling a little melancholy. Okay, maybe not, but we still want to talk about the good stuff that happened this year in the world of karaoke. So sit back, relax, and let’s take a short trip down memory lane as we look at some of Karaoke Cloud‘s best of 2013… as I see it, at least. Karaoke Rescue Comes From Boyz II Men: I love to watch people’s reactions when celebrities make surprise appearances. This may have been a car commercial, but when Boyz II Men shows up to help a guy sing to his girlfriend in a karaoke club… well, that’s just awesome! Ten people you meet at karaoke: I only began working with DigiTrax/Karaoke Cloud in October of this year, but going back and reading previous blogs I have to say that this is definitely one of my favorites from 2013. Why? Because it’s so true! Everyone from the “Diva” to the “Newbie,” they exist! And if you’ve spent more than an hour in a karaoke club there’s a very good chance you’ve had the, um… pleasure of meeting them. “They’re Heeeeere…” Sing-N-Share hits Google Play with thousands of free tracks from Karaoke Cloud: This was a very recent post, but from a business aspect it was also one of our biggest. The Sing-N-Share app is one of DigiTrax Entertainment’s crown jewels and we are extremely proud of everyone who came together to make it a reality! Very special shout outs to the geniuses at Deansoft for developing the tech and our friends at LiveRail for making the app free to everyone through their premium mobile video ads. Thank you all for your hard work and dedication and to you, our loyal friends and readers, for making Sing-N-Share a success! Squared-away Karaoke CEO Started Out Punk: For those of you who haven’t had the chance to read it yet, this article deals with our very own CEO and visionary, Joseph Vangieri! Karaoke Cloud/DigiTrax Entertainment owes all of its success to Joe for his pioneering spirit and business savvy, but he also happens to be a pretty interesting guy. From punk rocker to CEO? That’s pretty damn cool. Music Genius Mark Radice Joins DigiTrax Entertainment: We were absolutely ecstatic when Mark Radice agreed to join our team at DigiTrax! With his experience and undeniable musical talent, who wouldn’t be! Not only has Mark been responsible for many of the songs heard on the beloved children’s show Sesame Street (not to mention credits with some “small-time” bands/artists like Aerosmith and Gene Simmons), but the fact that he’s been blessed with what is known as “absolute pitch” makes him the perfect person to take the helm in creating pitch-perfect re-creations of hit songs! KaraokeOnVEVO Surpasses Quarter-Million Mark in 6 Months: Not too shabby for a “test product.” When we first started KoV (KaraokeOnVEVO) in order to see if there was a demand for free karaoke on social media we had no idea what kind of response we would get. It’s been overwhelming to say the least! When you consider that the amount of views has jumped another 7 million and subscribers by 25 thousand since we posted the blog last month…wow. 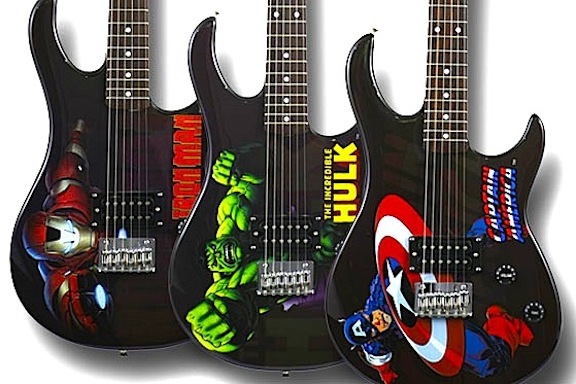 “Play a Tab” And Peavey: Avengers Assembled! : Another huge coup for us in 2013 was the announcement of a joint-venture between guitar industry giants Peavey and DigiTrax Entertainment regarding our new innovative Play a Tab app! Working hand-in-hand with Peavey is an absolute honor, but to have our guitar-learning software actually packaged with their world-class products makes us almost speechless. Almost. My friends, I hope you all had a great 2013 and we wish you the very happiest of new years! 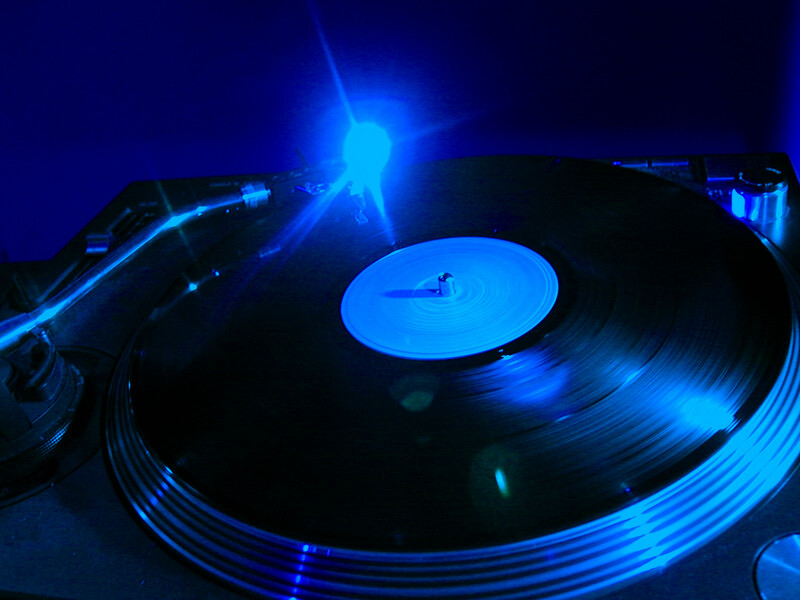 We’re looking forward to making even bigger strides in the digital interactive music industry in 2014 and can’t wait to see what our next “year in review” will hold! DigiTrax Entertainment heralds the addition of composer, musician and Emmy-nominated songwriter Mark Radice, whose credits include Aerosmith, Cheap Trick, Barbra Streisand, Gene Simmons – and Sesame Street’s Muppets. Details and a classic video below the break.